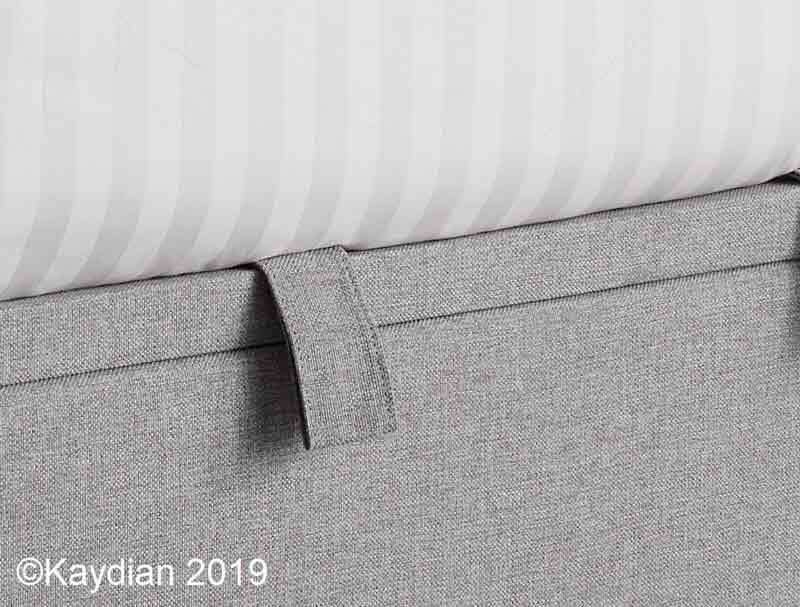 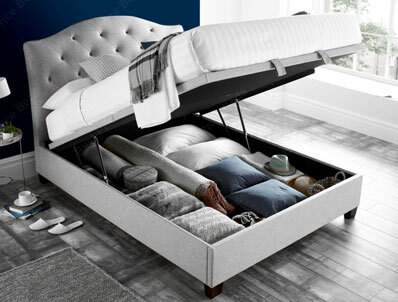 The Lindisfarne is a New fabric end lift ottoman bed frame from Kaydian , it has been born out of the success of 2 models the Belford a Curved chesterfield buttoned bed and the Walkworth a end lift ottoman bed to create a low end ottoman bed frame . 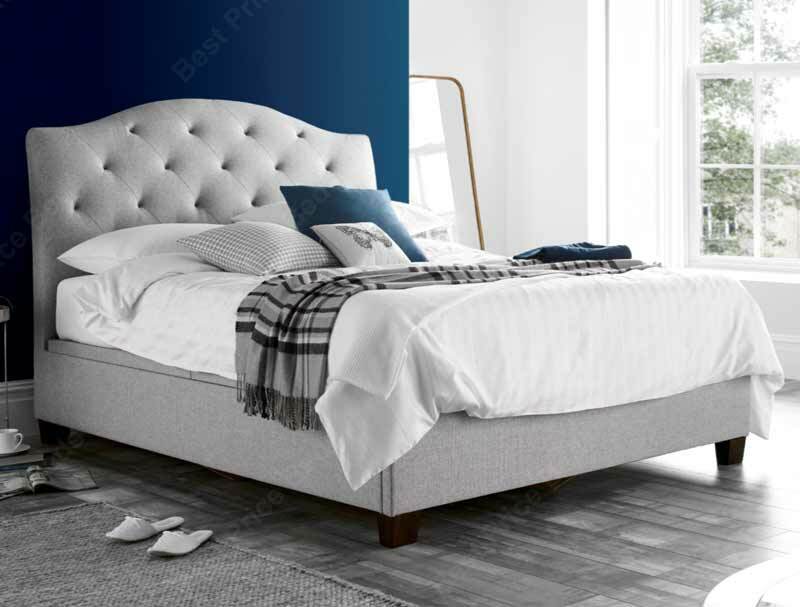 The Lindisfarne is available in 2 standard sizes Double and King size and offers a elegant shaped and curved headboard with button effect and a low foot end , the bed frame stands off the floor on dark wooden feet and opens from the bottom offering ample storage . 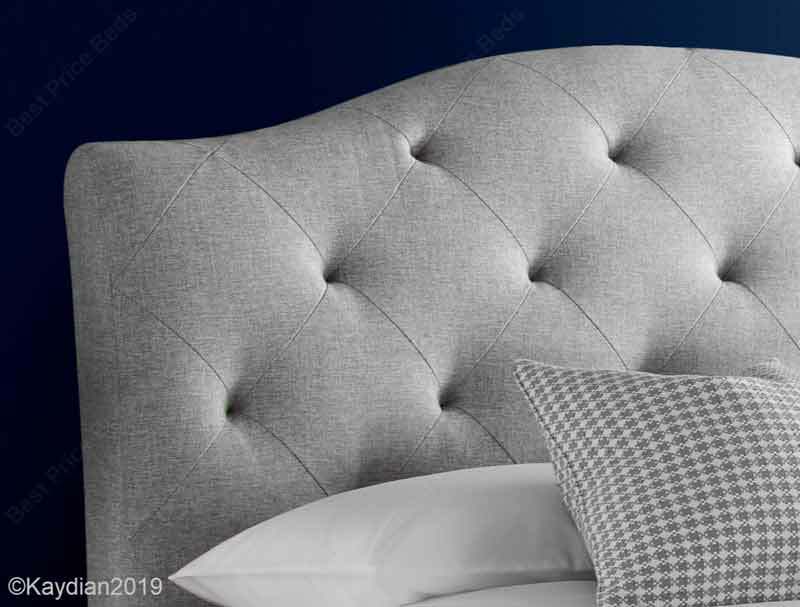 The Lindisfarne bed will be available for next day or choose a day delivery to your door in most areas of mainland united Kingdom once the stock arrives on 20th march 2019.